You can now see a version of this article in print! Check out the MagPi, issue 58. 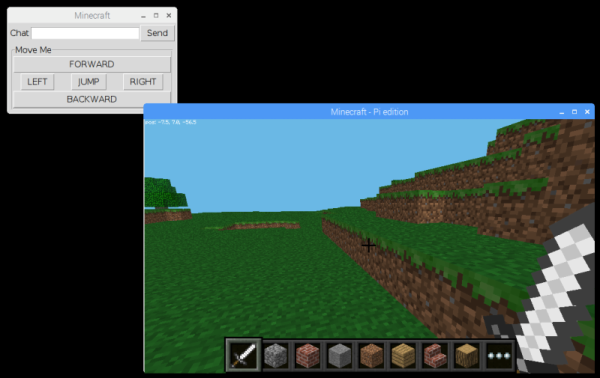 Linking appJar with Minecraft on the Raspberry Pi is super easy! First, let's set up a simple chat entry box. 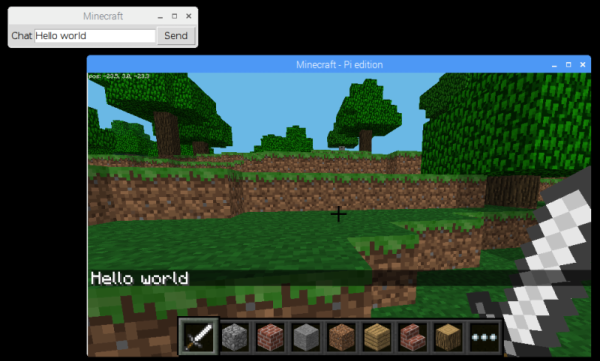 You can jazz this up a bit, by setting the focus and linking the key to submit chat messages, oh and set the location so it doesn't appear under the Minecraft window..
Next, let's add the ability to drop blocks. Finally, let's add a menu. 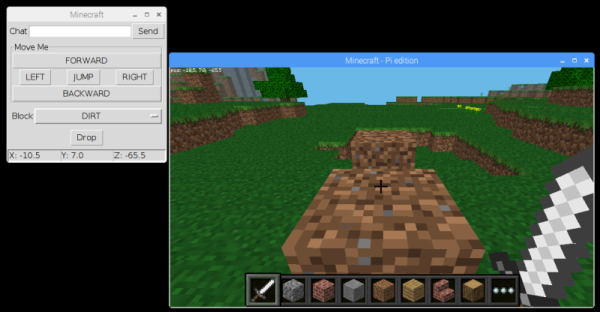 Menus work just like buttons - when you click them, they simply call a function.